Oh man. I just took the longest break from my blog since… well, since I started it in 2010. I really needed it and I feel refreshed and ready to get back into things. It’s a new year, my family and I are happy/healthy, and I’m attempting to accept the fact that I’m getting further and further away from the age 30… I’ll be 32 on the 1st. How did that happen? Speaking of, how do I suddenly have a 5 year old? My little girl turned 5 over the Christmas break. That means kindergarten is right around the corner. Side note: I also haven’t been on email, so if you sent something over to me… I still haven’t finished going through the inbox. It’s crazy over there. Anywho, I’m kicking off my return with a new DIY for the Better Homes and Gardens blog. 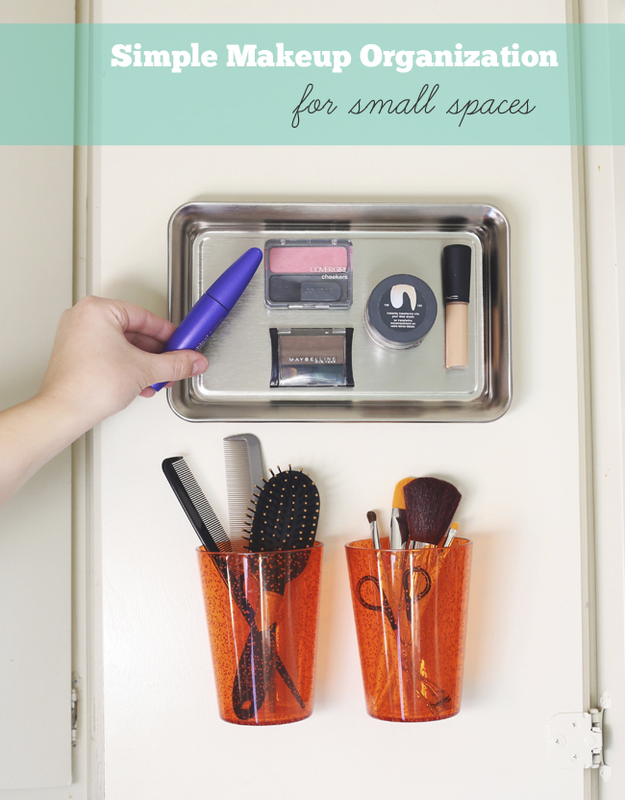 It’s a simple makeup organization for small spaces. I say it all the time, but we don’t have much space in the home. We can’t afford to store things on our countertops and we use most of the cupboard shelving space. SO, to ease the bathroom crowding a bit I organized my makeup ON the inside of the cupboard door. Yup. Head on over to the original post to check it out. How was your holiday? Do you miss it, or happy it’s over? P.S. I am a paid contributor for the Better Homes and Gardens Style Spotters Blog. It’s a fun place, you should really explore it for some great inspiration.